Harpreet Kaur Gakhal (2007 - 2012) known mainly as 'Harpsii' by her school friends, was the epitome of positivity, spending each day cheerful and with a 'carpe diem' attitude, regardless of the circumstance. At her 21st birthday celebration last year, her many friends fondly remembered her wicked sense of humour, beautifully balanced by her calming nature. The WGHS staff's compliments of her diligence and hard work, which seemed effortless, continue to make her family proud. She was the second of three sisters to attend Girls' High between 2004 and 2016, and was very proud to represent her school, for the enduring friendships that came with it, and the memories she went on to make there. She had an impact on girls in all year groups and never differentiated between friendship groups, a testament to her generosity of spirit. She provided an endless source of laughter on school trips, (particularly French Exchange) and Duke of Edinburgh Award expeditions, and had a passion for learning Russian, where she had many funny moments with her class. 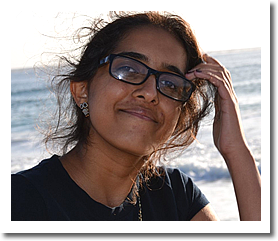 Harpreet learnt to play some musical instruments both in school and in her spare time, first dabbling in the Cello before deciding it was slightly too big for her. Her proudest musical accomplishment at the school was undoubtedly her idea to form a Gospel Choir with her close friend, Maria Locke. Having joked that there was definitely a 'gap in the market' for this at Girls' High, they couldn't believe that their vision would come to life and even have a prime time slot during the annual 'Punch and Carols' event. Harpreet's hilarious but serious decision to feature her playing the drums, (a latent talent of hers), during this performance is always remembered at Christmas time. 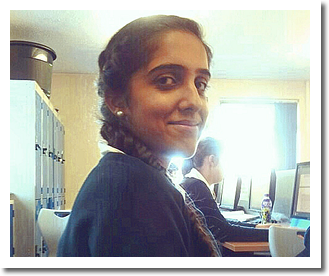 Sadly, Harpreet suffered a fatal brain haemorrhage on 01/01/2013 when she was in Year 12 at WGHS. Since then, in excess of £15,000 has been raised by friends and family for the 'Harpreet Kaur Gakhal Trust', both in her Dad taking up running marathons for charity and by way of a 'Dinner and Dance' event in 2014, in tribute to Harpreet's time as a Bollywood dancer. Proceeds have gone to Birmingham Children's Hospital, to Harpreet's dear friend and WGHS alumna, Elle-Mae Davidson and to Pingalwara Orphanage in Amritsar, India where a plaque at the entrance bears Harpreet's name and acknowledges the donations raised by WGHS staff and pupils. Harpreet's Dad will be running the London Marathon in April 2018 in memory of Harpreet and to raise funds for Sense, a charity mirroring Harpreet's ideals. Details for sponsorship will soon be added to http://www.gakhal.net/ and any donations would be truly appreciated on behalf of Harpreet and her family. As well as giving Harpreet a fitting memorial, the school also have a plaque and tree erected in 'The Secret Garden' of the school grounds. She was posthumously awarded with an Outstanding Musical Leadership Award in 2014 and we are proud and grateful that the 'Harpreet Kaur Gakhal Award for Diligence' has now been awarded for a number of years to give recognition to girls on behalf of Harpreet's precedent; for outstanding efforts in their studies. We are proud and humbled that Harpreet's legacy will be everlasting at the school where she enjoyed so many priceless moments during her life.